Star Trek The Video Game is an exciting new voyage for the crew of the Starship Enterprise in the new universe created in the 2009 Star Trek movie. 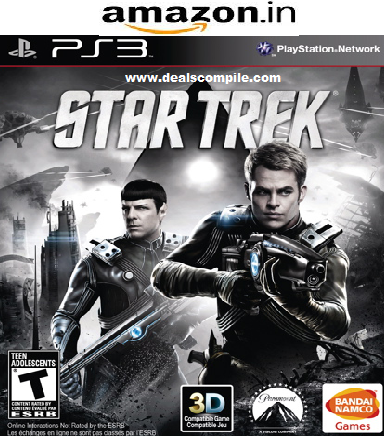 Amazon India has listed Star Trek (PS3) worth Rs.2999 at Rs.99 with free shipping charges. To get this offer just follow the steps given below. 1.Go to the Amazon Offer Page. 2.Add Star Trek (PS3) to the cart.